With the Pakistani elections scheduled for 11 May, residents of Gilgit-Baltistan, who are not entitled to vote in the election, will be closely monitoring the event in order to gauge what effect the results will have on their region. Gilgit-Baltistan might be the last thing on the minds of Pakistan’s election-contesting parties — none of them have included these far-flung northern areas in their manifestos — but its more politically inclined residents are keeping a close eye on who gets to form a government in Islamabad come May 11. While the rest of the country goes to the polls, the two million-strong population in this northern mountain range will have nothing to say when it comes to deciding who gets to sit in power in Islamabad. Its marginalisation from Pakistani politics is nothing new. In 1948, when this area acceded to Pakistan, it was promised constitutional recognition by the Pakistani state. Instead, Pakistan linked Gilgit-Baltistan to Jammu and Kashmir, hoping to ensure a favourable vote for the latter to accede to the newly formed Muslim nation in case a United Nations-promised plebiscite, meant to clarify whether Jammu & Kashmir belonged to India or Pakistan, took place. “The people of the region have since been bearing the brunt of this flawed policy and resultantly, the constitutional status of Gilgit-Baltistan has been in limbo,” said Syed Ansar Hussain, a resident of Gilgit-Baltistan. A long road to nothing? Until 2009, the area had been governed directly by Islamabad — a state of affairs that many say continues until today. After accession in 1948, the government declared the area an agency of the central government, and deployed a political agent to administer its affairs through the Frontier Crimes Regulation — the notorious set of laws that allows collective punishments, outlaws political activity, and denies basic rights like appeal, wakeel and daleel (the right to appeal detention, the right to legal representation and the right to present reasoned evidence) in the tribal areas (Fata) today. Though the FCR was lifted by the former prime minister Zulfikar Ali Bhutto in 1971, the region remained largely outside of Pakistani politics. Its development works were administered by a council with representatives from the centre and the region, that either did not function, or, say experts, remained dominated by a chief executive appointed by the Pakistan government. An attempt to turn the fate of Gilgit-Baltistan around has also been met with scathing criticism. In 2009, the PPP passed the Gilgit-Baltistan Empowerment and Self-Governance Order, thereby introducing an ‘autonomy package’ meant to turn the fate of this area around. Other than renaming the region (it used to be called the Northern Areas) and establishing the Gilgit-Baltistan Legislative Assembly (GBLA), it gave Gilgit-Baltistan full internal autonomy. The package replaced direct rule from Islamabad with a 33-seat assembly that is supposed to function as a provincial legislature — with the right to formulate its own Rules of Procedures, legislate on 61 ‘subjects’ or areas, and allocate and invest development funds given by Islamabad. However, internal autonomy never meant that Gilgit-Baltistan had the constitutional authority to function on a par with Pakistan’s provinces. As a result, the relative improvement in Gilgit-Baltistan’s status vis-à-vis the centre failed to convince the area’s more critical or nationalist voices — they rejected the package, calling it a “gimmickry of words”. “We want complete constitutional rights declaring this region as a fifth province of the country,” said Dedar Ali, a newly nominated provincial minister in the GBLA. Ali and other critics also say that the governance package can be removed by the whiff of a presidential hand — or order. With no constitutional legitimacy as a province, its administrative status makes it especially vulnerable to the whims of the next party in power. Meanwhile, the chief minister has limited authority — like the appointments, postings and transfers of civil servants below grade 18. His financial powers are limited, and he finds himself having to “turn to Islamabad with a begging bowl” according to one critic, far too often. Some critics go further, saying that the present administrative package is an obstacle in the region’s development. Some, like senior journalist and chief editor of Daily Siachen Gilgit Baltistan, Syed Bahadur Ali Salik, think that the present administrative package is an obstacle when it comes to the development of the region — half of the allocated budget goes to non-development spending, i.e. spending on the governor’s, chief minister’s and ministers’ salaries and perks. “That was why we have seen no development works being completed in this region over the last three years,” says Salik. “Why watch the general election? Because when the GBLA goes to elections in two years, we’re going to have to make sure that we elect a central party to power, so they can help us develop this region,” says Salik. In the run-up to elections, more pro-government factions find it realistic to align themselves with the party that will hold power in the centre, and therefore power over the development funds and ultimate future fate of the region. 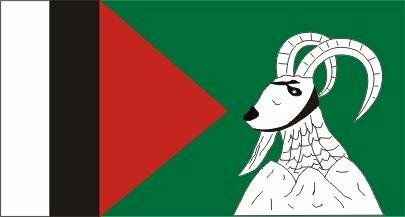 In the last election for the GBLA, the people of Gilgit-Baltistan fully supported the PPP and managed to establish a government under its party banner. The election result had many hoping that the PPP would solve its problems. Many, however, feel cheated. “The former prime minister, Yousuf Raza Gilani, changed the 2009 ordinance into an executive order, which means Gilgit-Baltistan remains vulnerable to the whims of a central government,” says the former deputy chief executive of Gilgit-Baltistan, Haji Fida Mohammad Nashad. “They went ahead and disappointed a lot of those people who supported them — there were hardly any development projects to speak of. Gilgit-Baltistan is hoping for a political change in the country,” he said. Salik hopes that the PML-N will bring about a major change. “I hope Mian Nawaz Sharif will upgrade the administrative package of Gilgit-Baltistan — he has announced that he will if the PML-N wins. He has also promised to transform Gilgit-Baltistan into a constitutional province by converting the current order from 2009 into an ordinance,” says Salik. Nationalist parties go much further, and say that the elections are a sideshow that remove focus from the real issue. The chairman of the Gilgit-Baltistan United Movement, Engineer Manzoor Hussain Perwana, is disappointed that the Pakistan government has deprived his people of basic human, constitutional and democratic rights. He says that the government has kept Gilgit-Baltistan in a conflict scenario for six decades — within the framework of the Kashmir dispute. The annexation, as he calls it, of Gilgit-Baltistan is illegitimate. Instead, the indigenous Gilgit-Baltistanis who overthrew the erstwhile Dogra regime on Nov 1, 1947, to form an independent government should be considered the real local authority of the region’s indigenous population — and thus be considered one of the three interim governments recognised by the UN as parts of the disputed former state of Jammu & Kashmir (the other two governments are at Muzaffarabad and Srinagar). Instead, Perwana argues, the Pakistan government has colonised Gilgit-Baltistan, and mishandled and misrepresented the real situation to the international community. “This region Baltistan, which operates under the de facto administration of Pakistan, has no identity, no constitution, no system, no freedom of expression, no impartial judiciary, no free media, no free movement, no human rights, no rights of vote and no freedom of expression. Instead, it is one of the last colonies of the 21st century, and what Baroness Emma Nicholson, a member of the European Parliament, called a ‘Black Hole’,” says Perwana.